Do companies focus on improving their customer experience for the right reasons and does it even matter what they are? Posted on July 17, 2015 at 1:55 pm. A lot of companies have prioritised their customer experience for many years – Amazon and Emirates for example and if you’ve ever interacted with either company, it shows. Both companies value equally their brand and their customers, and are continually trying to improve their experience in any way they can by making the customer journey as smooth and enjoyable as possible. 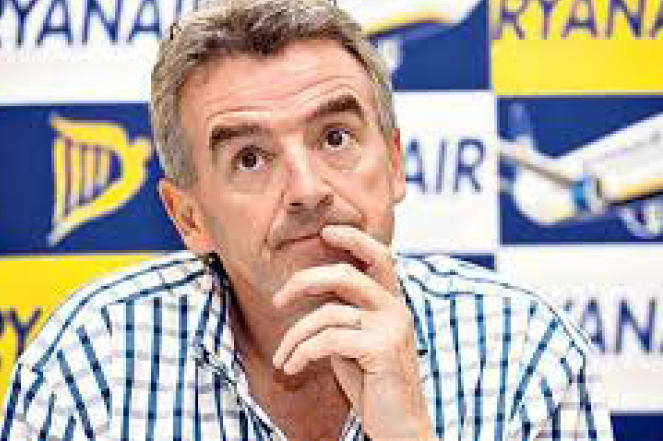 Here in Ireland the most note-worthy company to put their focus on customer experience is Ryanair. The turnabout came on the back of several things; one of them being rated 100th in a Which magazine survey in the UK listing the top 100 brands and secondly, they’re profits weren’t on the increase. Ryanair realised that although they had been performing well financially irrespective of their atrocious customer service approach, this had to change if they were to stay competitive. They also wanted to target more business commuters and knew that their current service, while sufficient for the ordinary punter, would have to offer much more to tempt the business traveller. Which led to their ‘Always getting better’ programme. The changes were small in some cases but made a huge difference to the overall customer experience; allocated seating, allowing a second bag and reducing the clicks while booking a seat online from 17 to 5, for instance. While Michael O’Leary said at the time that some elements of the new customer service won’t cost much, the financial ROI was immense, with profits increasing by 152% within a 12 month period. That’s a very good reason to put some effort into listening to your customers and making some changes. So it’s a win-win for both the customer and the company regardless of the motives behind the new and improved service. Let’s hope it just keeps getting better!